After constant beatings from the waif, Arya's face has never shown a bruise or a scratch. the same person. The fighting represented a mental battle inside Arya between "old Arya" and "no one / the waif". The first "fight" in "Fight Club" is Edward Norton beating himself up in a parking lot. I don't think Norton began showing bruising until he started fighting real people. Or, I would think that always having to look at Arya with a bruised face would be unpleasant. And, it'd be a pain for wardrobe. Why don't they show bruising on Arya? (1) is Arya fighting with a real person, the waif? (2) is she fighting with her inner Tyler Durden? They're subtle, but they do exist. Here are bruises on the right side of Arya's face (forehead, cheek, chin) as she watches the play in s6e5, a few scenes after receiving a sound beating from the waif. As for the Arya = the waif theory, the scenes with Jaqen, Arya, and the waif together are pretty limited, leaving room for interpretation. However, in s5e3, when the waif is playing the game of faces with Arya, Jaqen comes in, looks directly at the waif as he speaks to her, then turns to look directly at Arya as he speaks to her. This is an acknowledgement that there are two people in the room, thus, the waif and Arya are two different people. Not the answer you're looking for? Browse other questions tagged game-of-thrones or ask your own question. What is the fight club theory? Why does Tywin correct Arya on usage of m'Lord and my Lord? Why did Jaqen H'ghar give Arya the iron coin? Why didn't The Hound leave Arya Stark at The Eyrie? Where did Arya get the face? Why is Arya telling the truth instead of lying? 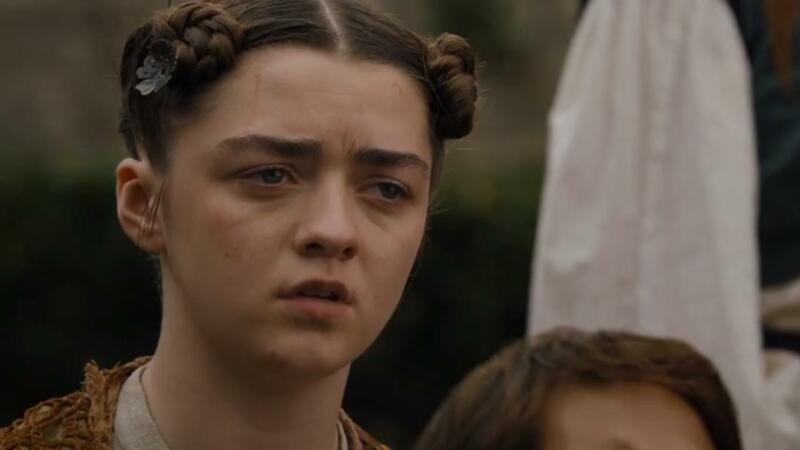 Is Arya the real Arya, or is Arya being impersonated by The Waif?